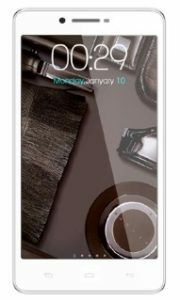 Micromax A102 is a well known smartphone providing good features in cheap price. The smartphone is equipped with Capacitive touchscreen. Here you will find Micromax A102 flash file driver along with ADB driver. Just follow the guide. The phone support dual-sim and comes with large display of 6.0 inches. The version of OS installed on the phone is Android 4.4.2 (Jelly Bean). Regarding processor, it has dual-core 1.2 GHz cortex-A7 processor. The storage specifications are not bad as it support 8 GB of internal memory with 1 GB RAM and the memory can be extended to 32 GB via micro-SD card. As far as the cameras are concerned, micromax A102 offer 5MP Primary camera with LED flash and VGA secondary camera. The price of Micromax A102 in India starts from 7,705. If you want to flash firmware on your device, then download CDC or VCOM drivers and for connectivity purpose require ADB driver.